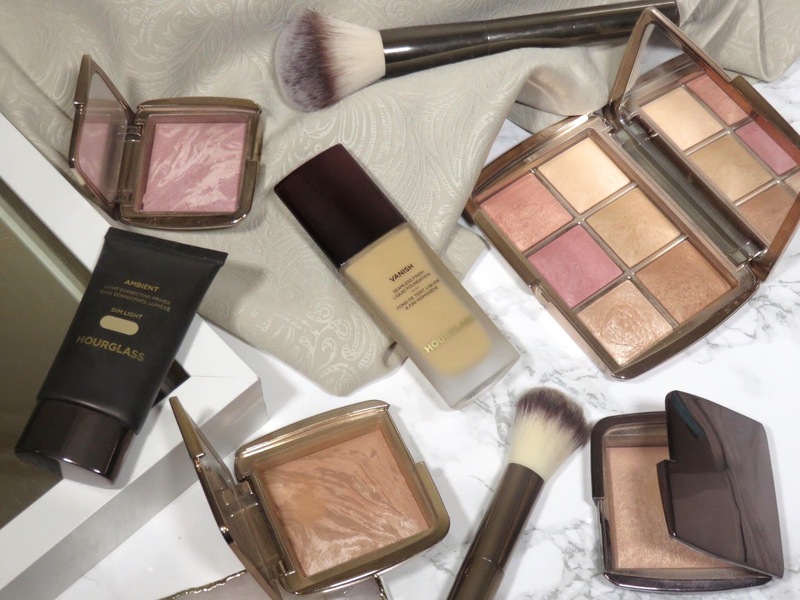 The biggest and most anticipated foundation launch of 2019? I think so! Several weeks before the launch of this foundation, social media channels blew up with a ton of teasers and swatches. The hype was really built for this foundation, so I hope it really lives up to the hype built up around it. This is actually my first ever foundation from the brand, so I am very excited and hopeful. My only concern is if it will be compatible with my dry skin. 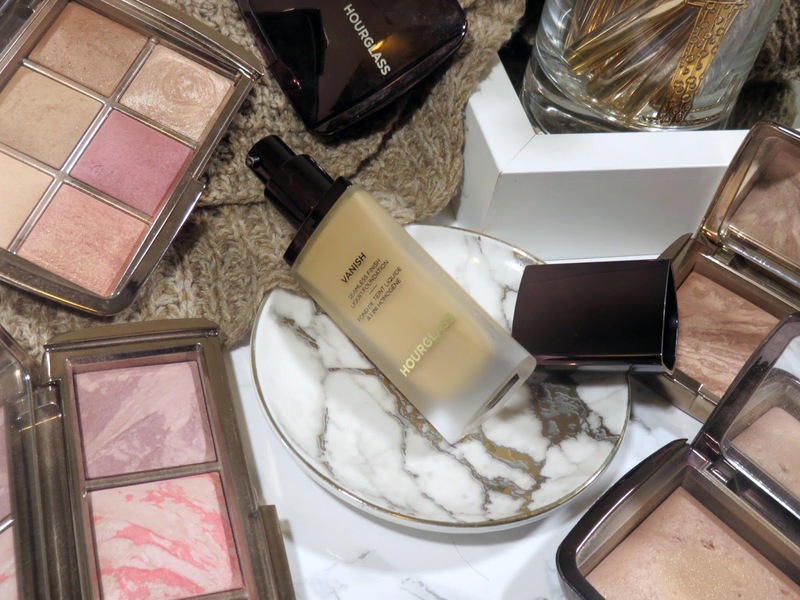 Read on to learn more about this new formula from Hourglass. The Hourglass Vanish Seamless Finish Liquid Foundation retails for $56.00 USD for .84oz and is available at Sephora and other retailers. 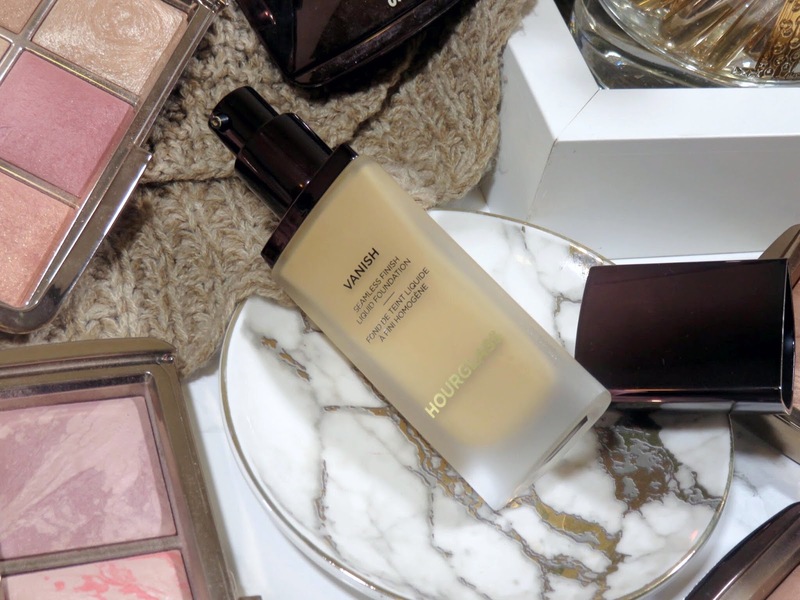 This new liquid foundation is housed in a beautifully heavy frosted glass trapezoid-shaped bottle with the cognac cap and detailing that is signature to the Hourglass range. 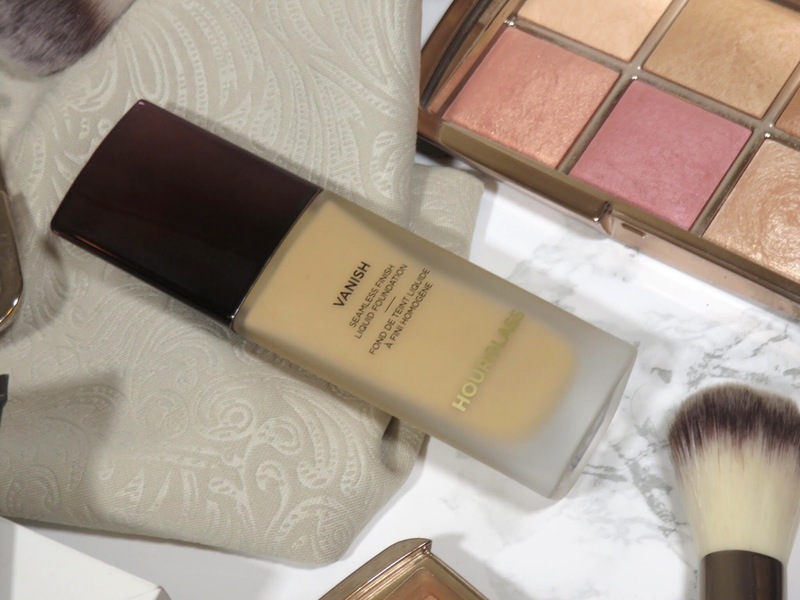 This foundation comes with a pump, which is ideal for a liquid foundation and really at this day and age, all liquid foundations should come with a pump. What I do want to address is the amount of product you receive for the price. You only get .84oz that is just below the standard 1oz that you get with most foundations on the market. Even their Veil Fluid Makeup Foundation contains 1oz, so why is this one less? Is it the cost difference? The Veil Fluid is $60.00 USD, so for $4.00 more you can get the rest of the foundation? Hmm... I know it isn't a lot of foundation but for the luxury price, I would expect a full ounce of product. 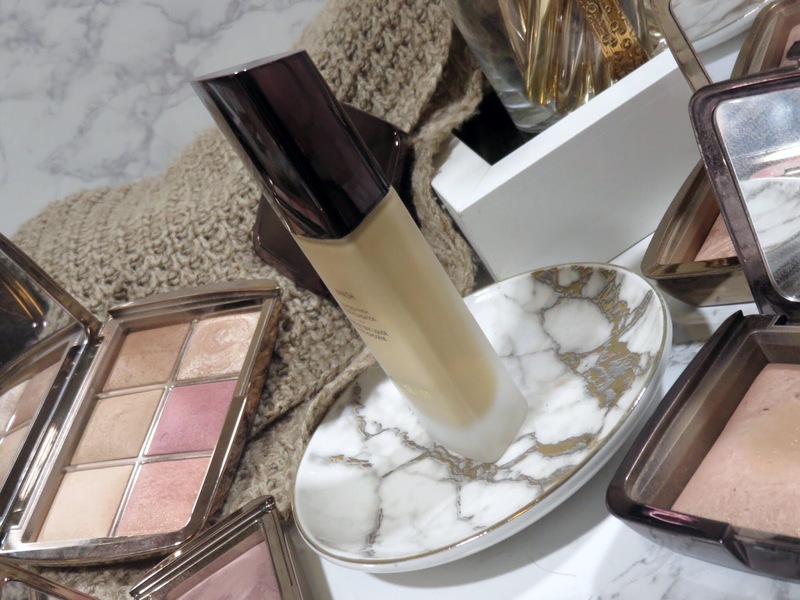 This foundation comes in 32 different shades with warm, cool, and neutral undertones. I appreciate their expansive shade range because there's nothing worse than being between shades and either having to buy two different shades and mix them or choose between too dark or too light. 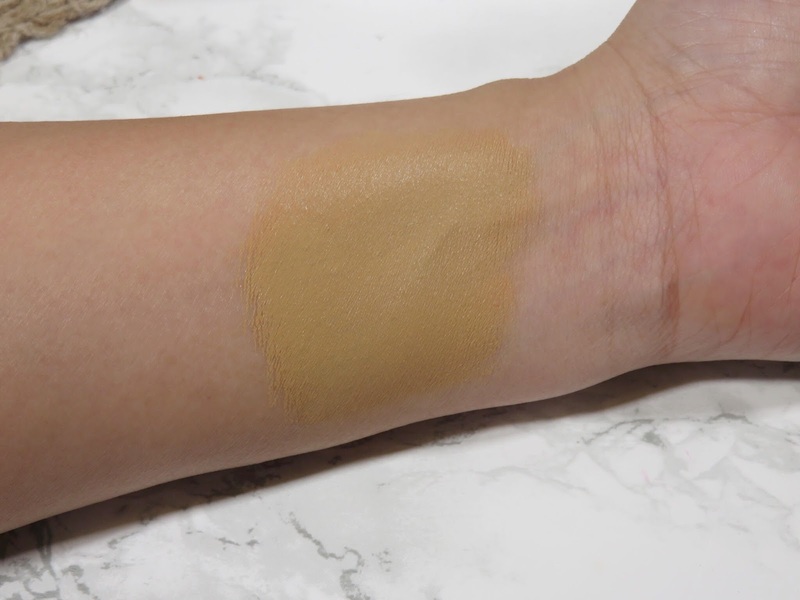 I bought my foundation blind and only using the swatches on the website, which I never recommend because it often isn't the shade you think it is but I really wanted to try this foundation out and review it. 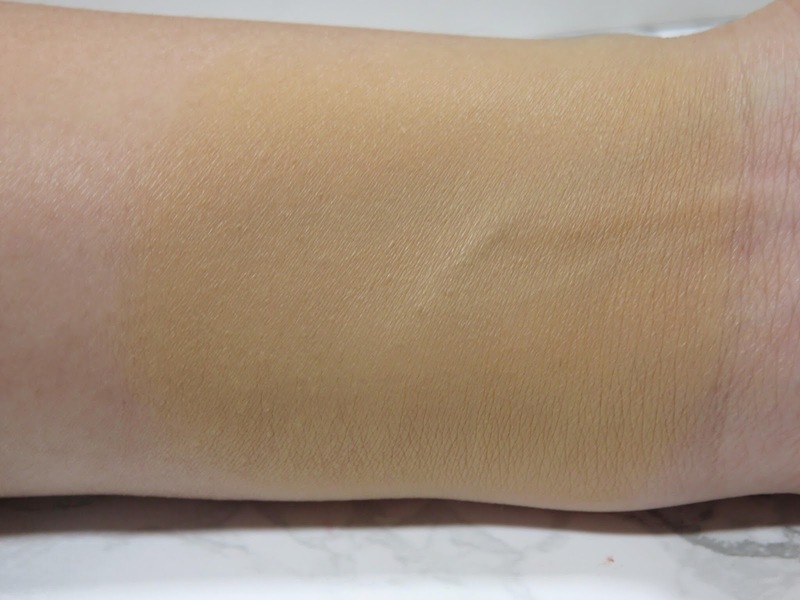 I went with the shade "Sand" because that shade is my ideal shade in their Veil Retouching Fluid (review here) and the swatches appeared to be very close to my NC30-35 skin tone. 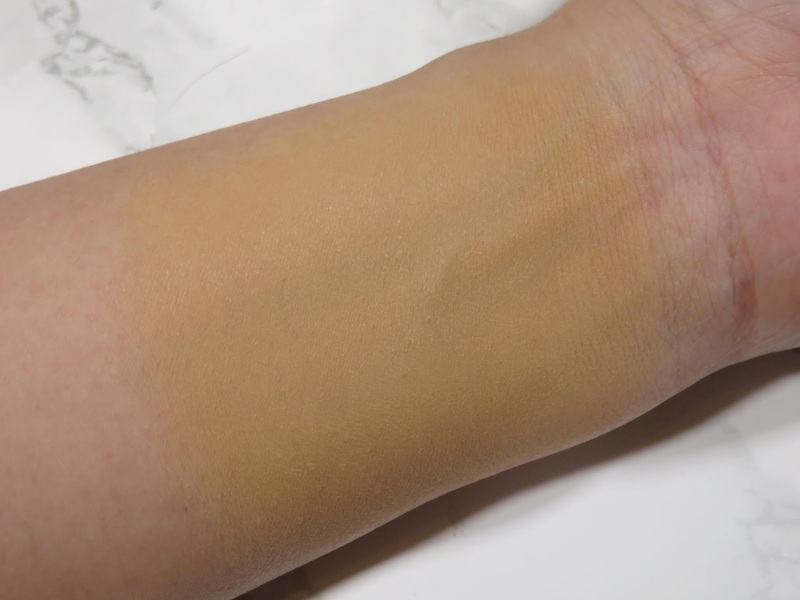 This shade Sand in the Vanish foundation is SO YELLOW! I look like a Simpson when I have this on! I don't know what it is about brands thinking "warm undertone" translates to yellow or orange. Yes, a warm undertone tends to have a yellowish or orange-ish undertone but this yellow tone is too much! This isn't a matter of choosing the wrong shade for my skin tone, I have been color matching myself and others for years and I know I have a warm undertone. 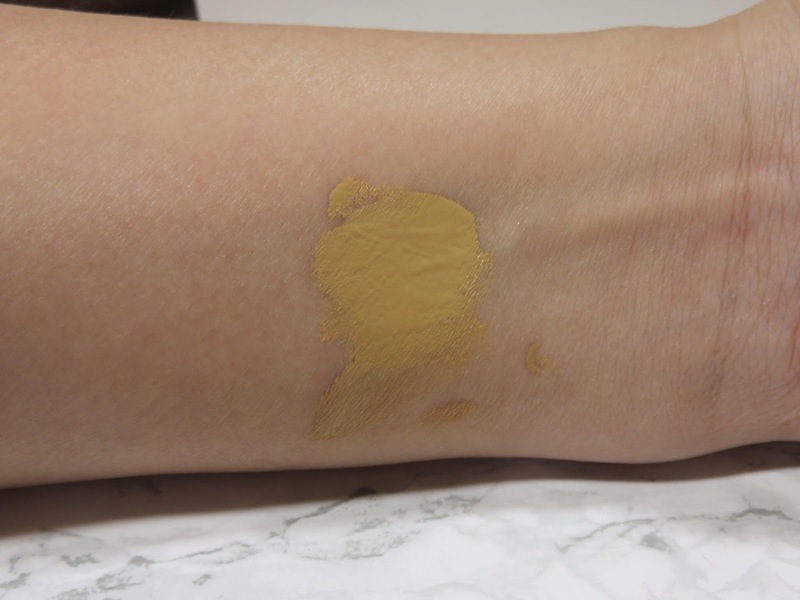 I have seen many other people say this foundation is much too yellow for them as well. I think they really need to revise their medium to tan skin tones. This foundation does slightly adjust and become less yellow after a bit but the yellow undertone is very strong. I attempted to neutralize it by using my Ambient Lighting Powders on top and it helped a little but you can see in this picture that my face is significantly more yellow than my neck (I didn't blend it down completely to show the difference). The finish of this foundation is described as a velvety satin and it is, but HOLY MOLY TEXTURE! Wow, does this foundation emphasize every pore, dry patch, fine line, everything! I consider my skin to have a very smooth texture. In fact, I had just exfoliated right before trying this foundation out and I had texture show up that I never knew I even had! I feel like it made, texture on my skin! 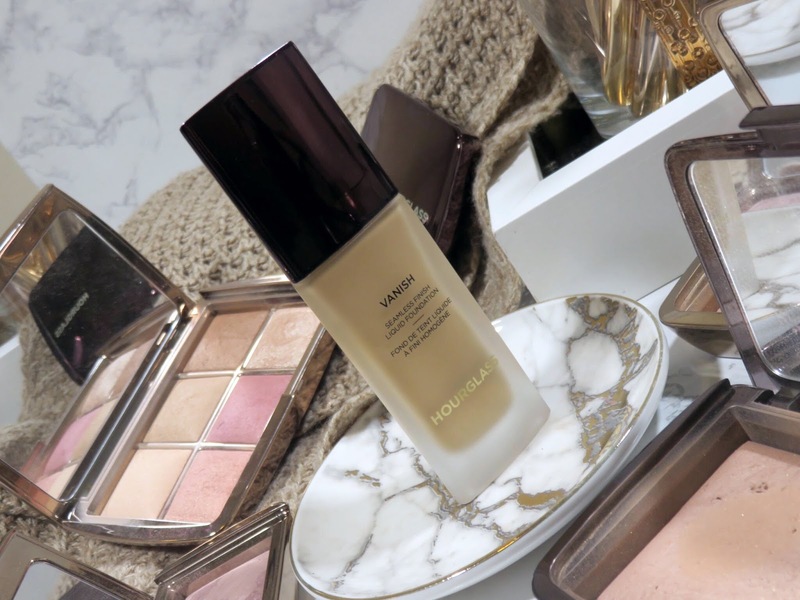 If you have dry skin or a lot of texture, you will hate this foundation. It also didn't seem to get better throughout the day, usually many foundations melt into the skin and look better throughout the day, this does not. 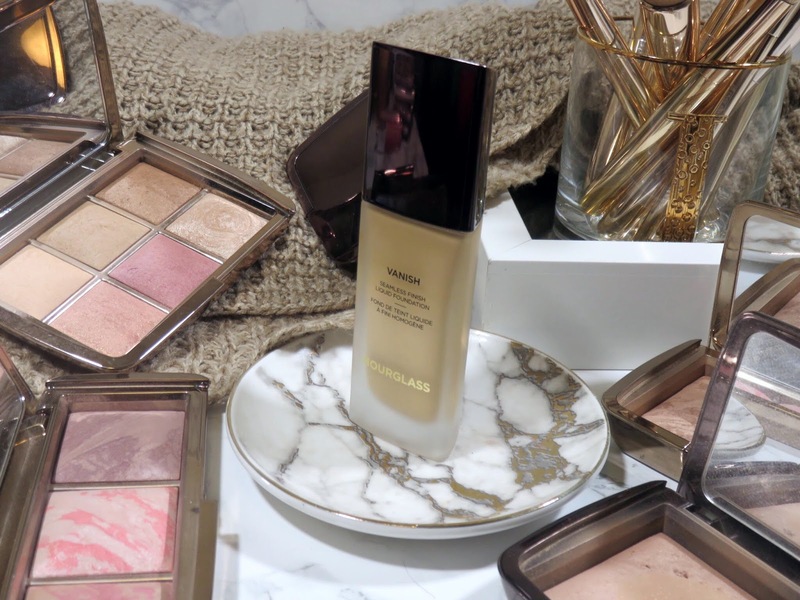 Additionally, this foundation is very full-coverage, which would look beautiful if it didn't emphasize texture! This foundation starts to dry fairly quickly, so when I dotted product all over my face and started to buff it in and it wasn't fully buffed in, I had little streaks. When I tried to diffuse these streaky parts with a beauty sponge, it was already fairly set and it remained streaky. The foundation just sits on the skin and looks very heavy. I attempted to apply a fixing spray all over and rework the product but it didn't help much with the streaks or the emphasis of texture. Placing powder over everything helped diffuse any inconsistencies and patches in foundation but unfortunately, it didn't help with the texture! 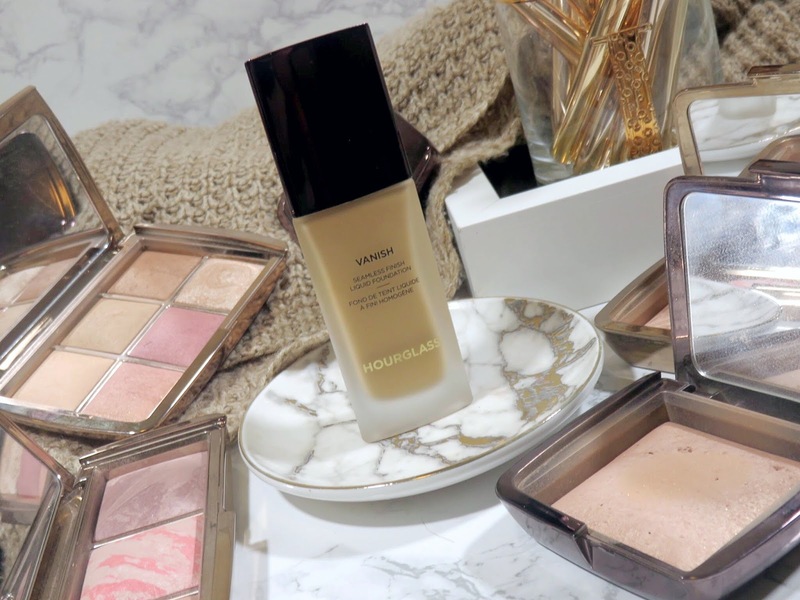 The Ambient Lighting Powders typically diffuse and blur texture but it didn't help much with this foundation underneath. 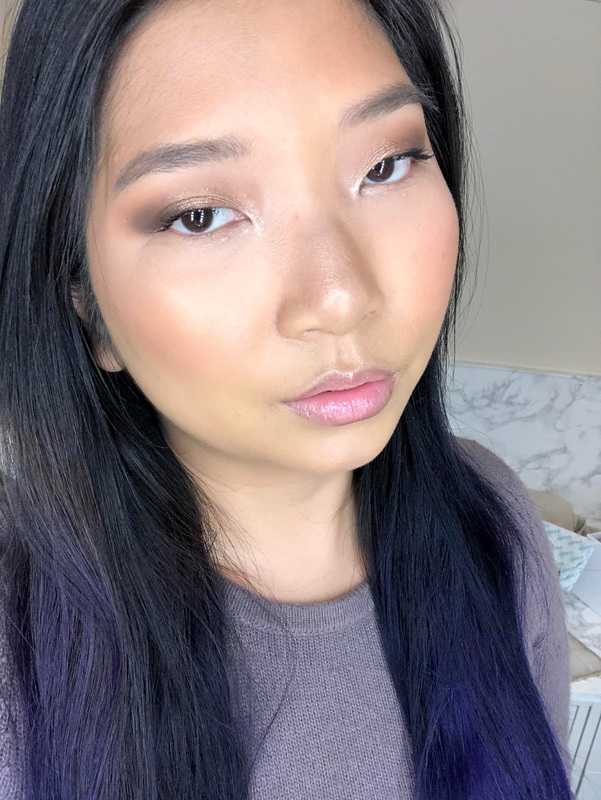 Even after spraying my face with more setting spray, my complexion still had a ton of texture! I really can't image how horrible this will look on someone with more texture and lines than I have. I really think this foundation is for a very specific skin type. From reviews I have read on Sephora, many are saying it is horrible for dry skin but even super oily skin types found it slid off. This foundation is a real flop for me, considering how much hype there was around the announcement of this foundation. Hourglass even claimed that it would work for dry skin types, as long as you prepped your skin really well, which I always do but I have never seen my skin look this textured and just horrible. Additionally, the shade range for me is too yellow and I really didn't like that combined with the emphasizing of texture on my skin. I am so disappointed with this foundation because it sounded so promising and I love the Hourglass brand so much. I highly recommend going to a store and getting a sample before committing to a full-size. Unfortunately, I am going to be returning this foundation, which is something I rarely do. I just can't make this work for my skin and the price is just too high to justify keeping it and continuing to attempt to make it work. If you want a full coverage foundation with a velvety-satin finish, I highly recommend the Tom Ford Waterproof Foundation/Concealer. It has a creamy texture that doesn't emphasize lines or texture and it is very long wearing! 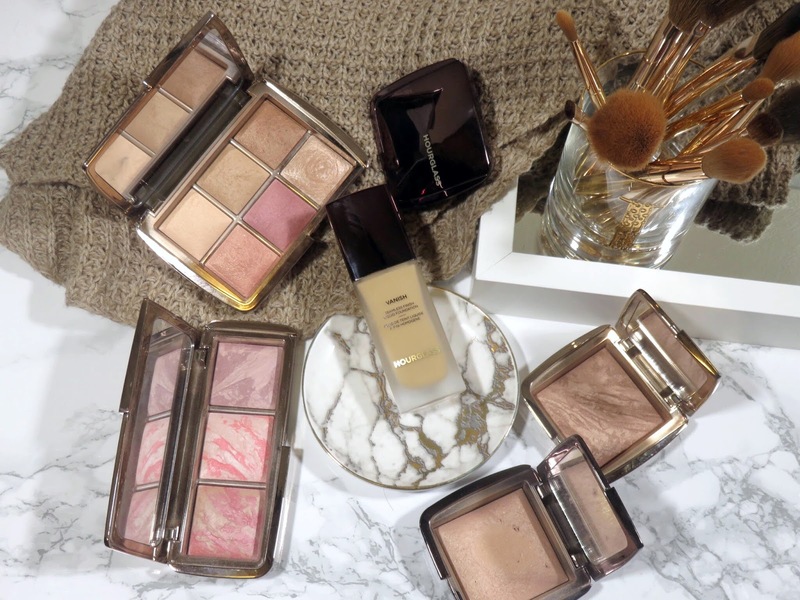 While the shade range is a little limited, the formula will work for all skin types.